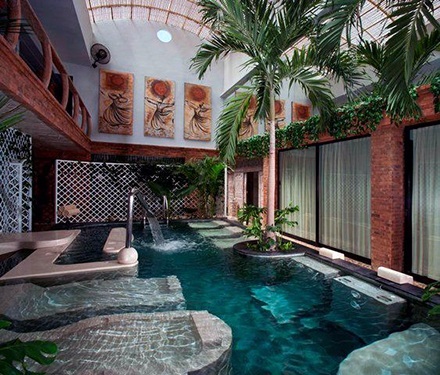 On one of our trips to Bali we chose to stay at a resort by the name of Amadea. 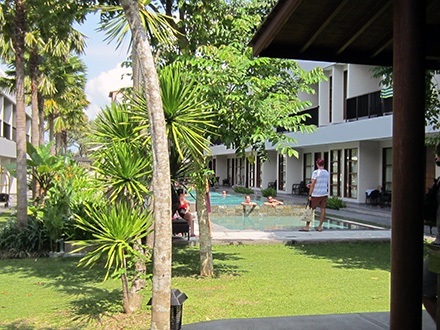 We wanted a safe, very central, semi luxurious place to spend our time in Bali and from the research we did online Amadea seemed to be the perfect fit. Below is a list of things I loved most about the Amadea. I have never experienced such an excellent level of customer service when traveling. Service included a greeting and a smile from every single staff member every day. Balinese people are genuinely so happy and caring and it means so much to them to be able to show you just how grateful they are that you have chosen to stay at their resort. 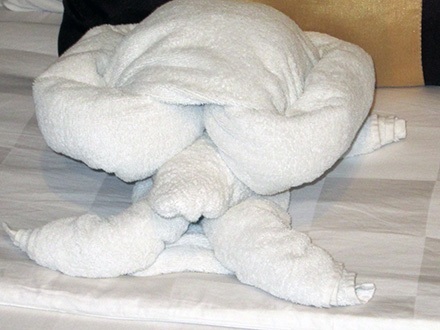 To me the little things mean everything and something which really blew me away was the cute little creatures made from our bath towels left behind by the staff after making the room; every morning saw a different creation that I found myself eager to return to my room just to see what creative concept the staff had managed to come up with. The complimentary breakfast was so fresh and filling and I particularly liked the fact that we were greeted by our first name each morning. Their bacon tastes like something out of this word. Also the well-maintained gardens, outside area and pool area were perfect to relax and walk around after a full day of eating, shopping and massages. Even the tradespeople not belonging to the hotel were happy enough to greet us each time we walked past. Next time I go I have to bring some Australian gifts to give to each staff member. Even before we arrived the level of communication via email was excellent, we even received personalised notes left under our door to remind us of check out day and time, what impressed me the most was one note advising us that as we had left the ‘do not disturb’ sign on our door we had missed out on a room clean and to remove the sign should we want a clean the following morning. The staff paid extra attention to all of our questions and always made sure that we understood any costs, provisions or otherwise involved with any request. 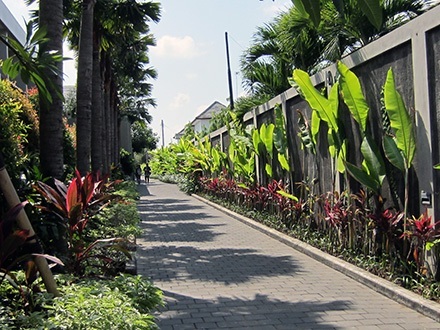 We love to walk and explore, and our resort was right in the middle of Seminyak, close to everything we needed including a medical centre. 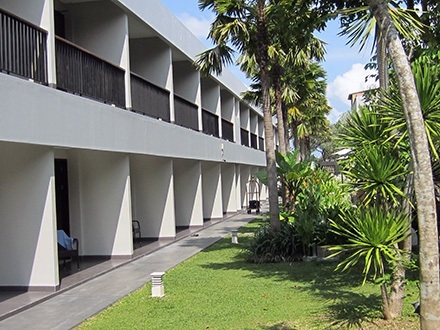 If you are planning to visit Bali and staying in Seminyak I highly recommend staying at Amadea. 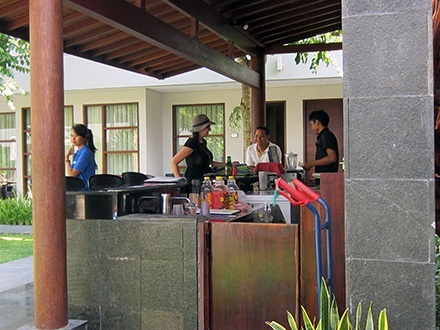 The staff are gorgeous and friendly, its safe and very secure and close to everything you need. Spending Big on Cosmetics? Here’s how to SAVE!